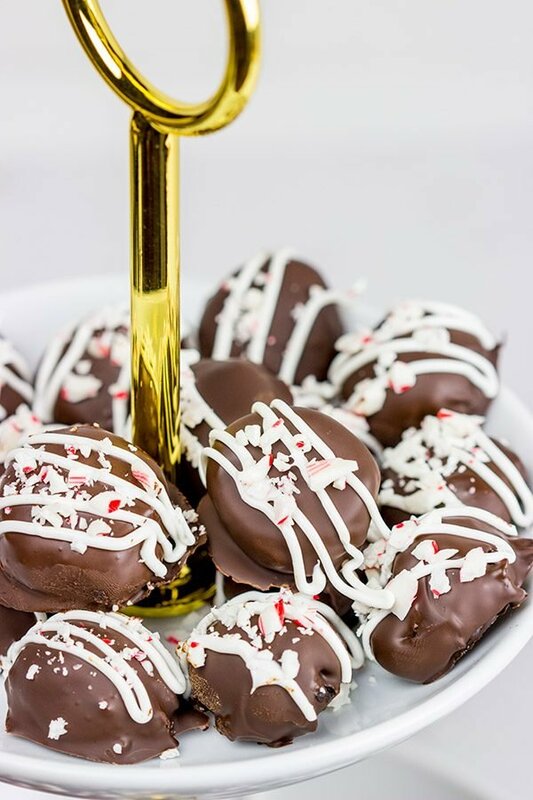 These Peppermint Oreo Cookie Balls are a fun twist on a classic holiday treat! Even as a young kid, I knew what the gold tin meant. The gold tin was stored up high…out of reach for little kid’s hands. The gold tin was like finding the end of the rainbow. The gold tin was always stocked with Oreos! I can vividly remember my Dad reaching up and getting that tin down from the top shelf after dinner. My sister and I were each allowed to have one Oreo, and we savored that chocolate cookie like you wouldn’t believe. My way of eating an Oreo: Carefully twist off the top, taking care to keep the filling intact on the bottom piece. Eat the top piece by itself. Study the bottom piece and decide on the best approach. Nibble away, enjoying each and every bite. My sister’s approach: go all in. Thinking back, our Oreo-eating strategy isn’t that surprising. My sister is an all-in type of person. If she does something, she does it big. On the other hand, I’m more analytical, and I like to evaluate all of my choices on a decision. Neither strategy is better. After all, both strategies lead to Oreo cookies! Once Robbie is older, I definitely plan on having him help out in the kitchen with making Christmas cookies. Since making Oreo Cookie Balls was one of my favorite memories as a kid, I hope he enjoys this one as much as I did. (Heck, I still enjoy it!) 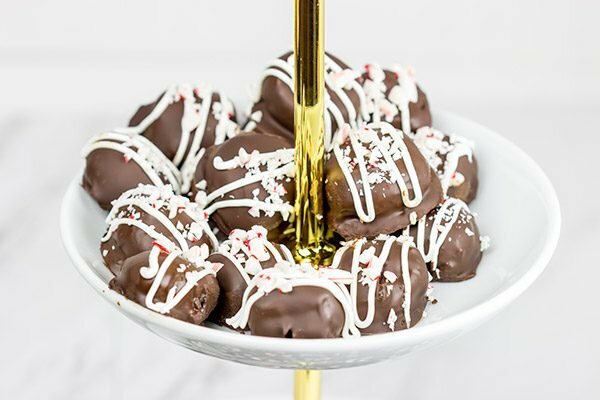 This year, I decided to put a twist on the traditional and make some Peppermint Oreo Cookie Balls. 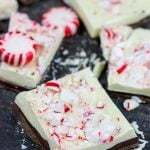 Chocolate + peppermint go quite well together, and the flavor combo always reminds me of watching Christmas movies at night with the family. When I was making my weekly grocery run to Walmart the other day, I grabbed some candy canes in addition to the Oreo cookies, chocolate and cream cheese. I crushed up several of those candy canes and then mixed ’em into the Oreo cookie balls. After dipping the cookie balls in semi-sweet chocolate, I drizzled some white Wilton Candy Melts on top. Then I finished ’em off with a sprinkle of additional crushed candy canes. All together, I was pleased with how these Peppermint Oreo Cookie Balls turned out! Soft and chocolaty with a hint of peppermint flavor. I did have one Oreo try and escape during the making of these Peppermint Oreo Cookie Balls. However, my training as the cookie enforcer kicked in, and the problem was averted. Phew. That was a close one! 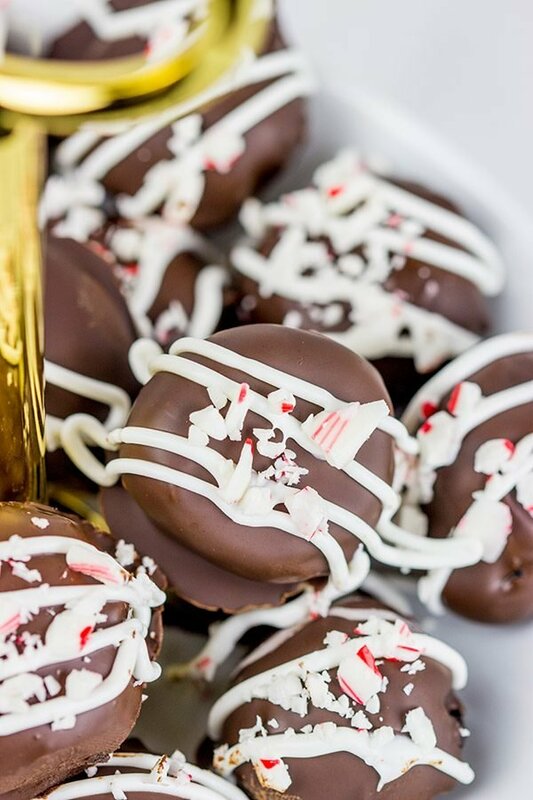 Oh, and here’s a fun tip: Try freezing these Peppermint Oreo Cookie Balls after making them. I stumbled across this by accident, but frozen Oreo cookie balls are quite delicious! Enjoy! 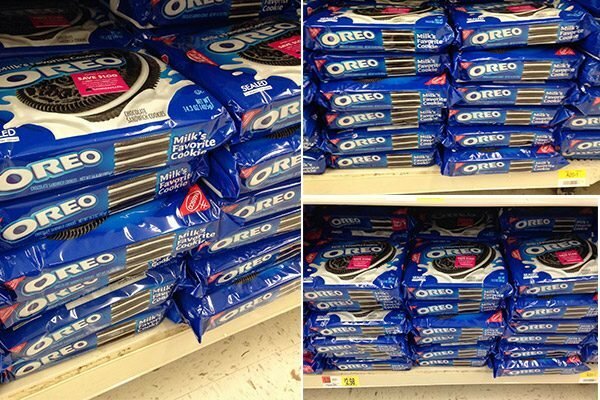 Click here to learn more about the different varieties of Oreo’s available at Walmart. They’re perfect for snacking and baking! Shape mixture into 48 (1-inch) balls. Freeze balls for 10 minutes. Place melted candy melts in piping bag or small sandwich bag with one corner cut off. Drizzle tops of balls with candy melts. 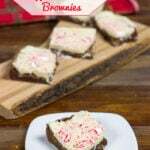 Sprinkle tops with remaining candy canes. 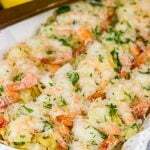 Refrigerate for 1 hour, or until firm. Keep refrigerated. For best results, use a food processor to crush the OREO cookies. To coat cookie balls with melted chocolate, place 4-5 balls in bowl of melted chocolate. Use 2 forks to roll balls in chocolate until evenly coated. Use forks to remove balls and let excess chocolate drop back into bowl. 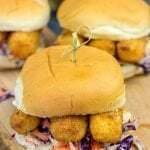 Place balls on wax paper-lined pan. 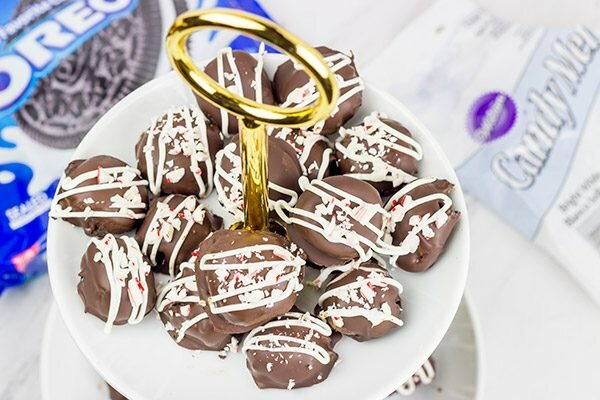 This Peppermint Oreo Cookie Balls post was sponsored by Oreo Cookies, but the opinions are entirely my own. Thank you for supporting the brands that support Spiced! Haha! Too cute that gold tin. I would love to take apart the oreo and eat the plain side and then lick the filling off the other side and then eat the cookie. Very particular method of eating those cookies, lol 😀 That boot print trick is adorable! I just love traditions and the older I get, the more they mean to me. We would open a gift on Christmas eve too (and still do). When I was younger I would sneak around, try and find the gift, carefully take the tape off (if they were wrapped), look inside and put back together. After a while I stopped doing that cause it took the fun away from the big day, but I guess that was part of being a kid 😀 Love these cookie balls. They look so festive and definitely trying your trick and freezing them. Pinned! Have a lovely week 🙂 !! Hey, there is no wrong way to eat an Oreo! I appreciate that you are deliberate like me, Dawn. Haha! 🙂 Oh, you are a sneaky one! You’d peak into the gifts and then rewrap them?!? Man, now I gotta watch and make sure Robbie doesn’t do something like that (when he gets older, of course). Duct tape it is for all of his presents! Hope your holiday season is off to a great start, my friend! Hi David I always look forward to making Christmas treats for friends and these will be included this year! I like to make truffles, breads (like the Bishops Bread we talked about) and cookies. I ship off packages to friends in Florida, Arkansas and Michigan, as well as give them to friends here. I don’t know what’s more fun…making the goodies or giving them to friends! I think the tradition of a small gift on Christmas Eve is one that many carry on! What a fun time you will have this year with Robbie!! I couldn’t agree with you more, Dorothy! Making Christmas treats for friends is almost as much as actually giving them away…and eating them, too! 🙂 Robbie is still too young to fully understand Christmas this year, but he definitely understands the tree so far! He was mesmerized by it last night. (Of course, he kept wanting to grab it, but I was holding him just outside of reach!) 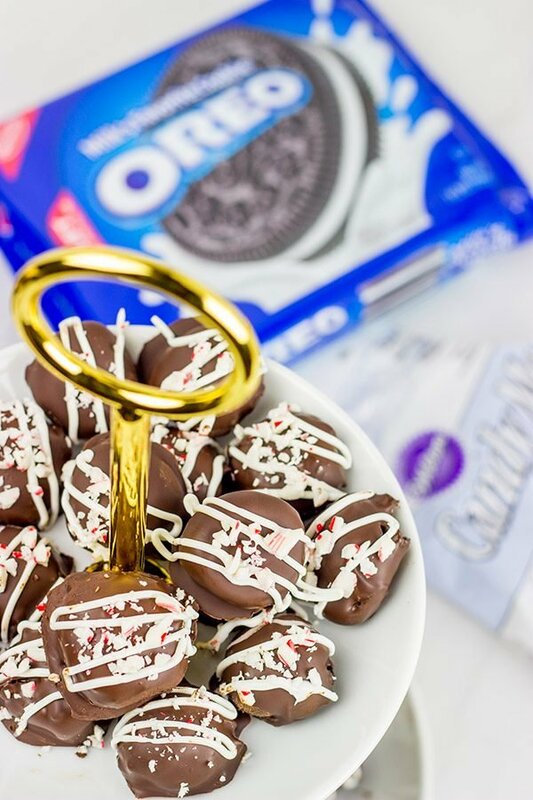 Definitely include these Oreo Truffles in your Christmas treat line-up this year, my friend. And make some extras for you and Gary! David, I sure got a chuckle out of reading how you and your sister’s Oreo-eating strategy was a glimpse into your personalities! It is so true though – how we eat/drive sometimes can say so much! Ok – that’s too much deep and serious stuff for a Monday – let’s talk about the deliciousness that is these Oreo balls! Gosh these are downright decadent! Totally irresistible! And – enjoying them frozen – why, Lil Shashi used to do that to Thin Mints and would go batty over these! I cannot wait to see what traditions y’all have next year with Robbie! When Lil Shashi was little, I used to sneak outside her window and ring bells – usually my sis was visiting and she would keep Lil Shashi company. Now that she’s older, every Christmas we try our hand at making something new – sometimes it’s a dish from another country, sometimes its something we haven’t tried before – but it’s always a fun adventure and memory! P.S. When it comes to Oreos’ I grab 5, scoop out the filling of 4 of them, place the fillings into one of them and enjoy a quadruple stuffed Oreo! Who would’ve thought that our strategies for eating Oreos would be an accurate reflection of our personalities? 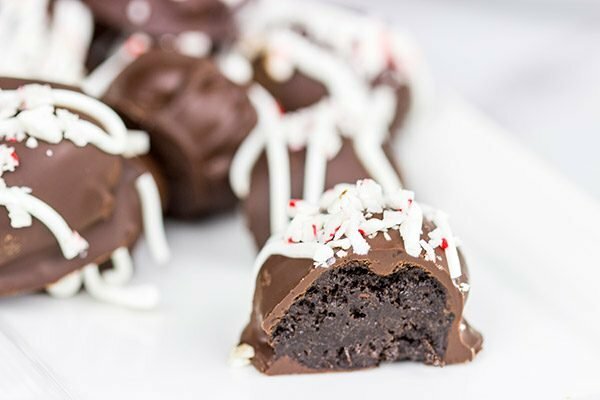 🙂 These Oreo Truffles are a fun and easy Christmas recipe…and definitely awesome when frozen! So I really like the bells idea. How old was Lil Shashi at the time? I feel like that’s a fine line between being awesome and getting caught! It reminds me of the time I dressed up as Santa last year…and then almost got caught by the neighbor kids. I’ll have to share that story soon! P.S. Your method of eating Oreos is remarkably similar to Laura’s…except hers involves about 8 Oreos…hah! Hahaha – 8 Oreos!!! I am in awe – now I HAVE to try Laura’s method! Though I’m not sure how I’d be able to sneak that many Oreos past Lil S! BTW – I used to do the bells thing from around the time Lil S was about 2 till she was around 6 – we lived in a townhouse and I used an extending painting stick with the bells attached to it. Fortunately, I did it from our enclosed back yard – no other kids in sight! I can’t remember the last time I had an Oreo, but I sure would love to be the enforcer! I can only imagine how delicious cream cheese, Oreos and candy canes are together! That boot print trick sounds pretty fun and I think this year will be a blast for you guys with little Robbie! Oh, the Oreo enforcer is a serious job, Rachelle. You gotta be ready to go at a moment’s notice. It requires years and years of serious training! 😉 These Oreo Truffles are a fun holiday treat for sure…and the peppermint just reminds me that it’s Christmas time! Thanks, my friend! This sure sounds like an amazing Christmas gift!!Lovely.. You can tell a lot about someone by the way they eat Oreos! I didn’t realize that until you mentioned it, what an excellent observation. I know I would be a good enforcer, I wonder if that job is still available. I love the idea of the Boot Print and Make Holiday Cookies with Robbie once is of age. I have great childhood memories of Christmas, and I know Robbie will also. Oh I see David has started posting some Christmas ideas which is exciting! Does this also mean David has started mailing so much anticipated edible Christmas gifts? I guess, we’ll find out shortly:) Oreo cookies make the excellent ingredient for delicious yet simple treats. I’ve been making this kind of things for the last few years, basically since we moved to Canada. Do you know why I didn’t attemt this earlier? Because few years back you couldn’t find Oreo cookies in Rusdia. Like at all! Could you imagine this? I’ve heard they finally started to sell it, though. But feel my pain now: Christmas without Oreo cookies! Well, I’m being a little dramatic right now hoping to get more presents from you, haha:) Well done! It definitely does mean that David has started mailing out Christmas treats! Have you gotten yours yet? I mailed them over a week ago. Wait, no Oreo cookies in Russia…that’s crazy! I can see why you’d add Oreo Truffles to your baking list once you moved to Canada. They’re a holiday classic! Now go sit at the window and wait on the mailman…your Christmas treats might arrive today! 🙂 Thanks, Ben! I have eaten Oreo cookie balls before, without the peppermint, they are yummy. I love the idea of adding peppermint to these balls, sounds even better. I could eat the whole batch myself! Once my parents had a neighbor dress as Santa and he was there Christmas morning still putting out the presents when we woke and scared the daylights out of me all dressed up and in our living room! Crazy, fun memories. Now these sound good and to be honest (where have I been?) I have never heard of Oreo Cookie Balls. Haha…you discovering Santa in your living room reminds me of when I dressed up as Santa last year. I’ll have to share that story soon…but let’s just say it involved a very out of breath Santa sprinting full speed across the neighbor’s backyard. 🙂 Wait, you’ve never heard of Oreo Cookie Balls? You definitely need to make up for lost time here, Kevin…haha! Thanks! It’s almost time for that baking extravaganza, Nicole! Nothing says holidays like hopping into the kitchen with family and making some old favorites. 🙂 Thanks!! These look so good, but I have a confession. I’m not crazy about Oreos. I have, however, recently started liking the whole chocolate and peppermint combination. 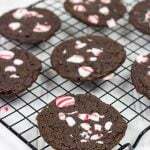 I’ve been thinking about making peppermint patties. 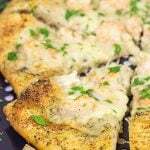 Have you ever made them before? What? You don’t like Oreos?? You know, these Cookie Balls use Oreos, but they are so very different from the cookie form. I think you should give Oreos a shot again…but in Cookie Ball format. With crumbled peppermints! Speaking of peppermints, I love peppermint patties, too. 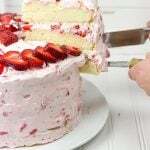 I’ve seen homemade recipes before, and they look awesome…but sadly I’ve never attempted to make them myself. If you give ’em a shot, let me know how it goes? Awesome. I love Oreo’s and this is just a totally awesome way to use them. I can see this being devoured in our household. It looks like they might have a bit of a cheesecake taste to them as well! Oh, these were absolutely devoured in our house, Matt. And you’re right…they do have a bit of a cheesecake essence. Try ’em frozen!